Our field service technicians offer complete material handling solutions in WA including 24/7 servicing and repairs for mobile crushing and screening equipment. 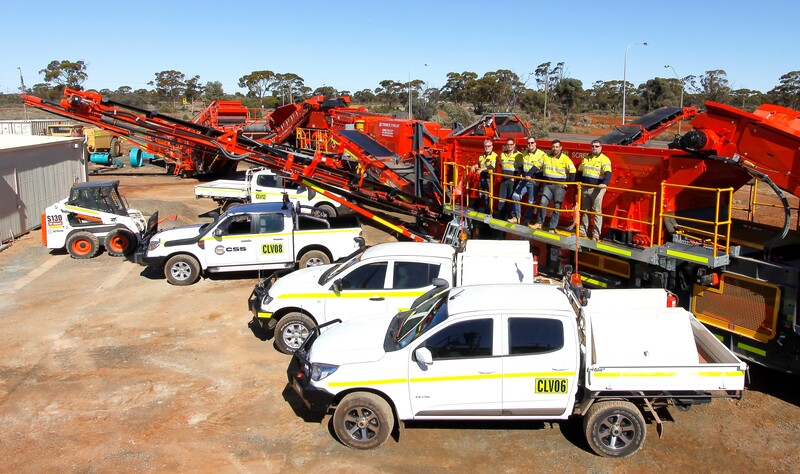 To more efficiently maintain and service our clients and our own equipment onsite and support our projects, at Crushing Service Solutions we have a large field service component. Our team of field service technicians are dedicated and professional, with extensive experience in all mobile crushing and screening equipment brands. So that our field servicing technicians can deliver professional and efficient mechanical services they each have a fully equipped utility vehicle that adheres to 5-star mine specifications. Whatever time of the day or night you require mechanical support, we can provide this as we offer 24/7 mechanical support. We specialise in providing field service mechanical and material handling support for turn-key mobile crushing and screening projects. With a large fleet of equipment available to hire, we can also ensure there is no production downtime when equipment onsite needs repairs or servicing. With scheduled servicing available we can ensure your mobile screening and crushing equipment is serviced regularly, to minimise onsite breakdowns and diagnose repairs early to avoid additional long-term expense. Every field service technician in our team is safety certified and follows strict onsite safety procedures to avoid accidents and injuries. Call us today to find out more about our field service technician support or material handling solutions. At Crushing Service Solutions, we offer competitive rates and can dispatch vehicles urgently for emergency repairs.